We live in an open world game. We can do whatever we want. We don’t have to give in to the scripted dynamic we’ve been presented with. A dragon comes and saves you by destroying an entire city. You escape. There are rebels, fighting the good fight against the empire! You can choose between the rebels and the empire. My god, that’s the easiest choice ever presented to anyone ever. Rebel it is. 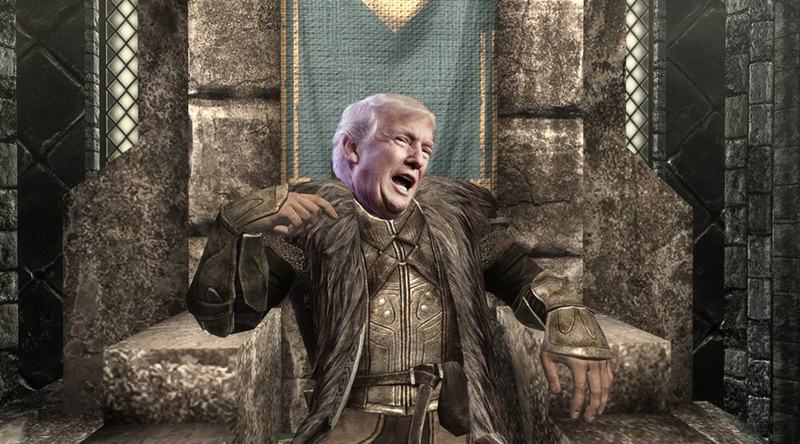 Wait, why are they called Stormcloaks? That’s a sketchy name. Anyway, the game tells you that you have to choose between the Empire and the Stormcloaks. Neoliberalism or white colonialist ethnostate. It’s an open world game. You can do whatever you want. In case I’ve mired my already obnoxiously obvious metaphor, what I’m saying is: we live in an open world game. We can do whatever we want. We don’t have to give in to the scripted dynamic we’ve been presented with. Mostly, what I want to do is pick flowers and make healing potions, but I suppose instead I’ll see if I can ride a dragon into battle against all these fascist scum.